In today's episode, the Living the Dream Team talks about how they adapt their playing style when playing in a live poker tournament and give a tip or two on how to come out on top. 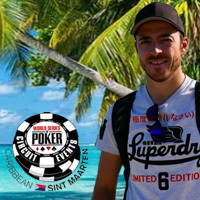 Hours before the CPT Punta Cana Main Event begins, they tell how they personally prepare for a gruelling night of tournament poker. Two of our team advance to Day 2!